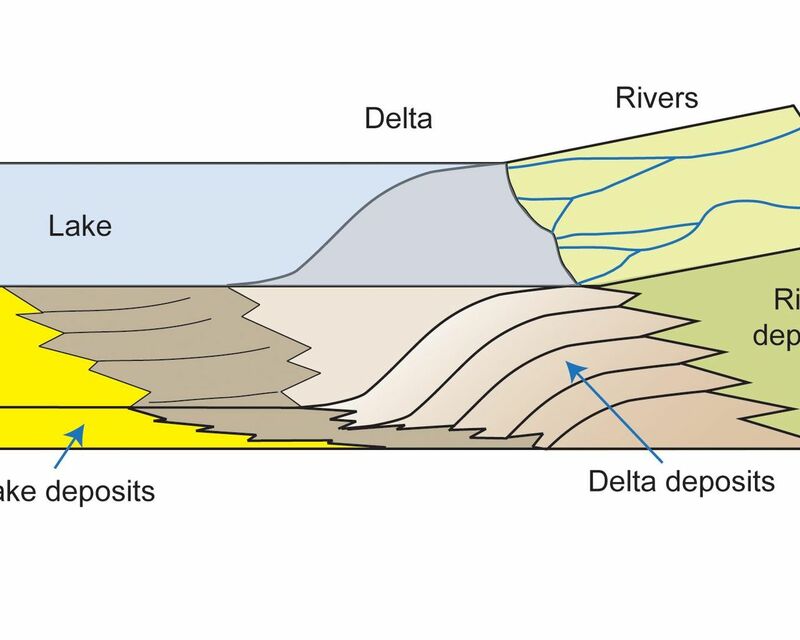 This diagram depicts rivers feeding into a lake. 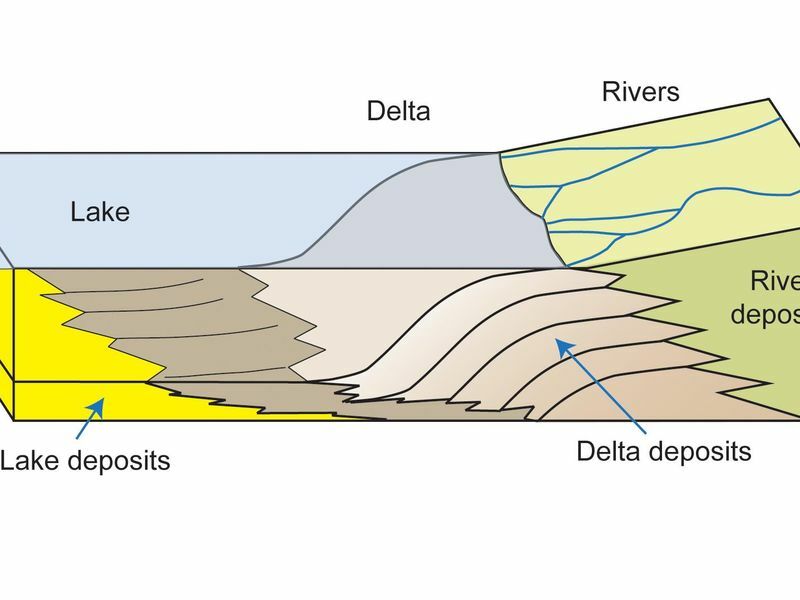 Where the river enters the water body, the water's flow decelerates, sediments drop out, and a delta forms, depositing a prism of sediment that tapers out toward the lake's interior. 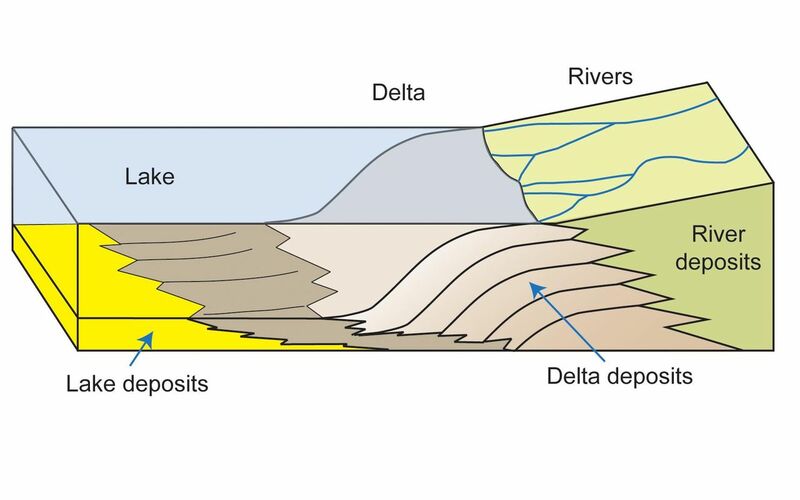 Progressive build-out of the delta through time leads to formation of sediments that are inclined in the direction toward the lake body. 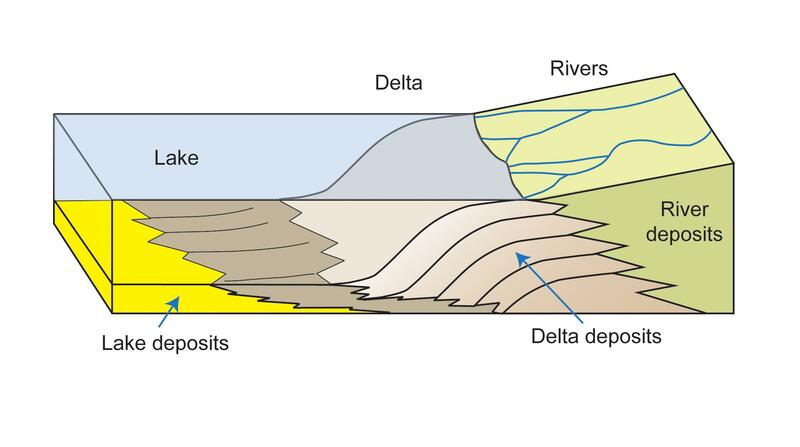 NASA's Mars Curiosity rover found sedimentary rocks with that characteristic inclined pattern during the rover's approach to Mount Sharp, suggesting that where the mountain stands now was formerly a lake.